In the plug top of an electric appliance, what is the colour of the live wire? What are the names of the wires labelled in the diagram? Which one of the following uses of electricity is the most costly? Fuses cannot be used once they blow. Fuses are very expensive to buy. 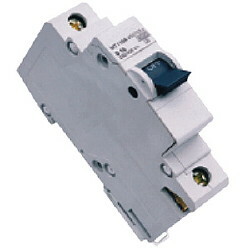 Circuit breakers cannot be reset after an electrical overload. Circuit breakers cannot protect against large amounts of electricity. Which one of the following appliances costs the least to run for the specified time? 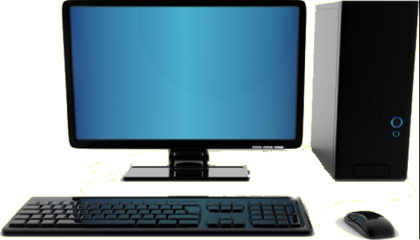 A 60 watt laptop running for 5 hours. 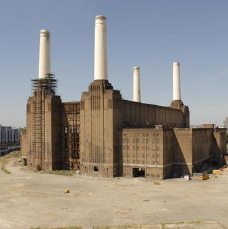 Which one of the following is not used to generate electricity in a power station? An electric kettle uses 8 amps of electricity when boiling water. Which would be the most appropriate fuse to fit in its plug top? During cold weather a heater is used to heat a large conservatory. The heater is switched on at a power rating of 1000 watts. The heater is operated for 8 hours each day for one week. What is the energy in kilowatt-hours used by the heater in this week. Which one of the following equations is used for calculating electrical power? 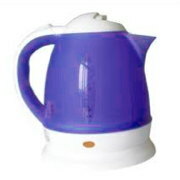 An electric kettle operates at 230 V, and has a current of 8 A passing through it. What is the power rating of this kettle? An electric kettle uses a current of 8.2 amps. 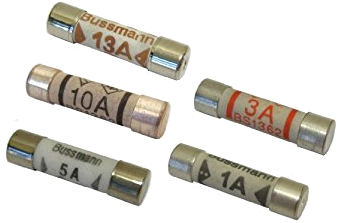 Which one of the following fuses should be placed in its plugtop? 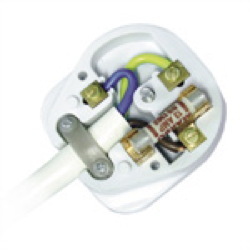 Name the safety device that is placed in a plug.